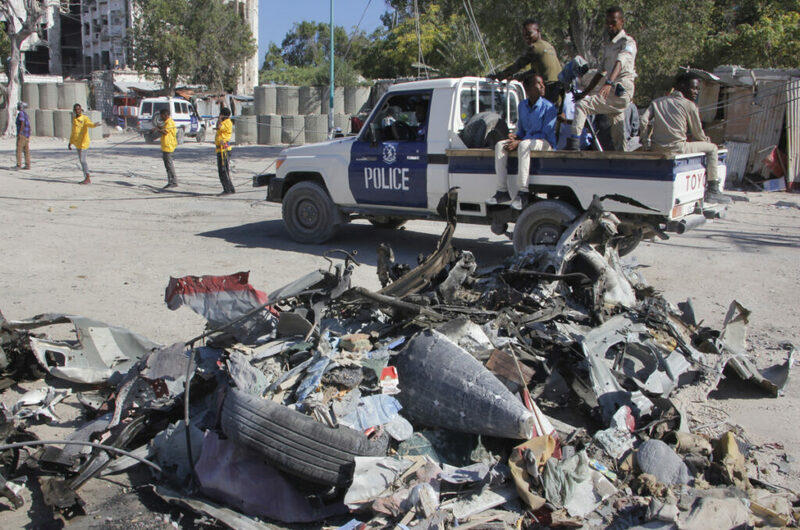 At least 10 others are wounded, with the al-Shabab extremist group claiming responsibility. MOGADISHU, Somalia — Gunmen set off a suicide car bombing and then stormed a government building in Somalia’s capital Saturday, killing at least five people including the country’s deputy labor minister, police said. It was the latest attack by Islamic extremists in the troubled Horn of Africa nation.